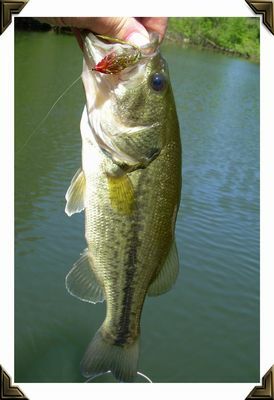 Largemouth Bass taken on an Orange Foam Spider. 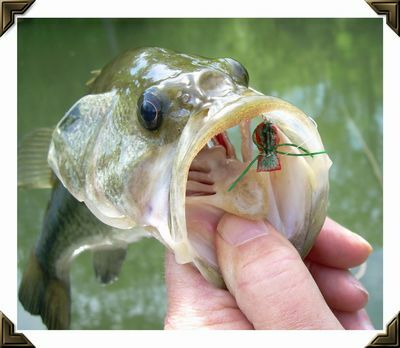 Largemouth Bass taken on a Plan "B"
Largemouth Bass taken on a Olive Red-Faced Wobbler. 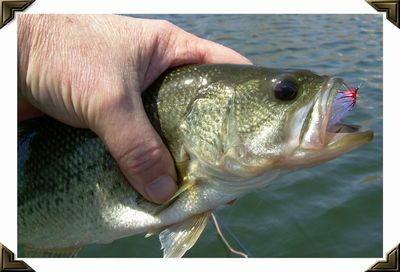 Largemouth Bass Taken on a white Red-Faced Wobbler. 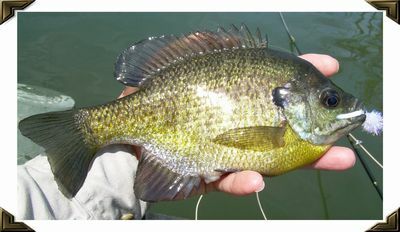 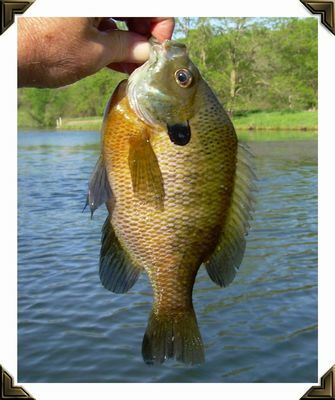 There is nothing much better than taking Bluegills large enough to be "lipped" like you would hold a bass by the lip. 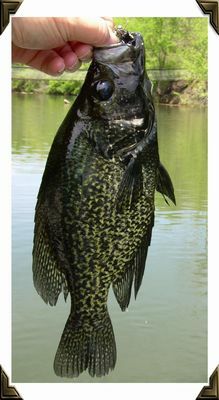 Black Crappie taken on a Plan "B"
Another Black Crappie taken on a Plan "B"
Bluegill taken on a white Red-Faced Wobbler. 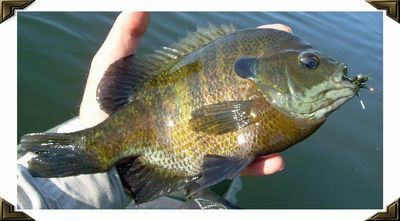 Bluegill taken on an orange Foam Spider. 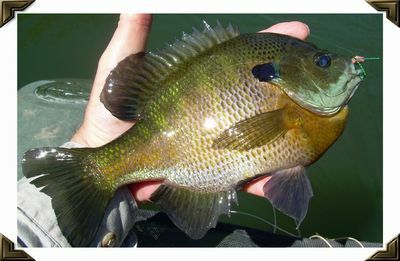 Beautifully colored Gill taken on an orange Foam Spider. 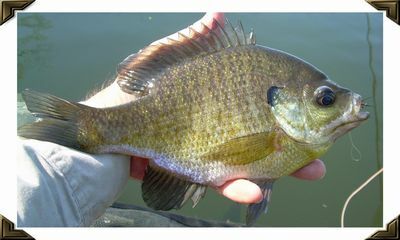 Another bluegill taken on a size 8 Plan "B"
Another bluegill taken on an orange Foam Spider. 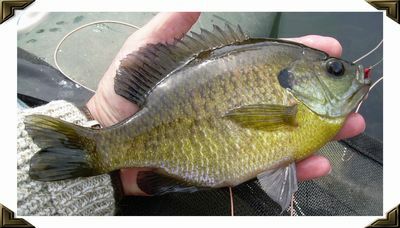 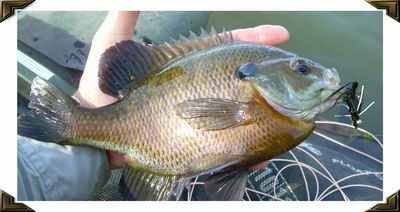 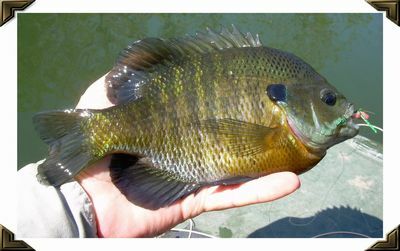 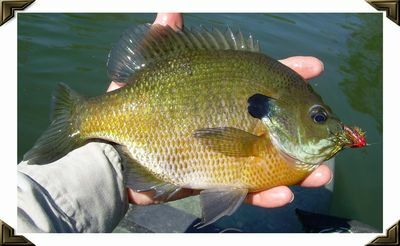 Bluegill taken on black Red-Faced Wobbler. 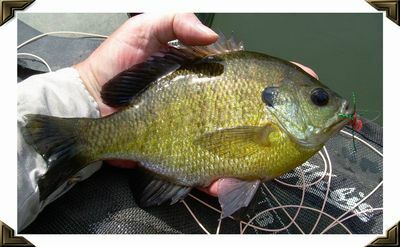 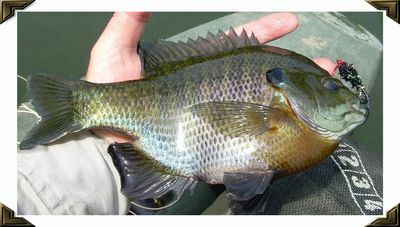 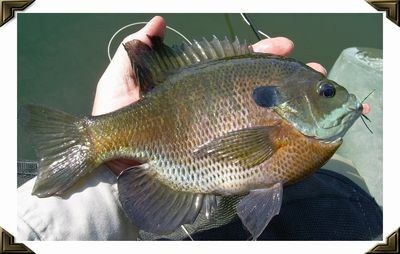 Bluegill taken on a black Red-Faced Wobbler. 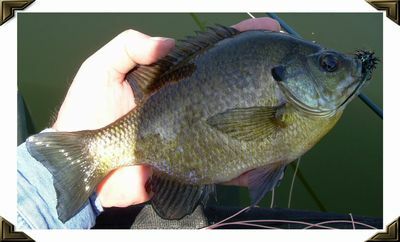 Bluegill taken on a size 6 Plan "B"
Another bluegill taken on a black Red-Faced Wobbler. 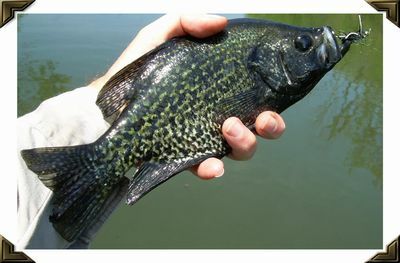 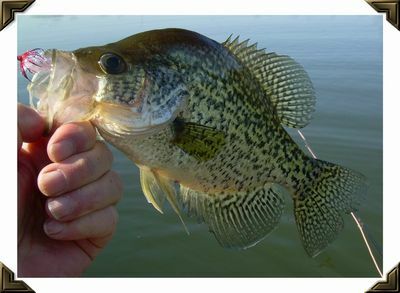 Black Crappie taken on a black Red-Faced Wobbler. 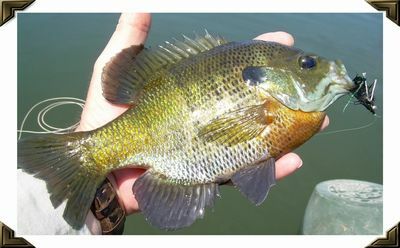 Bluegill taken on a Plan "B"
White crappie taken on a white Red-Faced Wobbler. 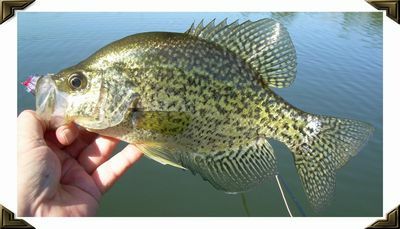 Another white crappie taken on a white Red-Faced Wobbler. 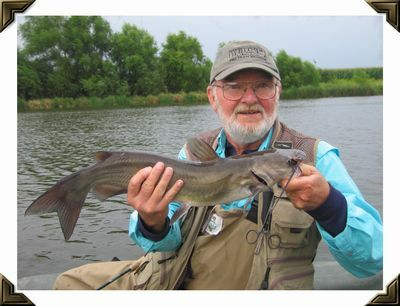 The day this catfish was caught I took a total of ten catfish, all on the same fly. 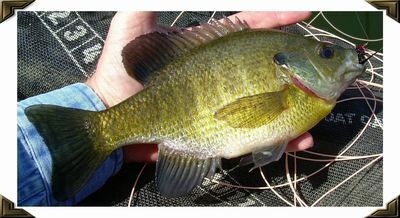 The fly was a bronze Hipps's HellCraw. 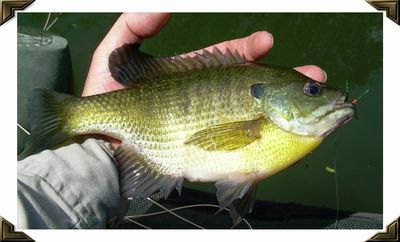 The smallest cat was about 20-inches long. 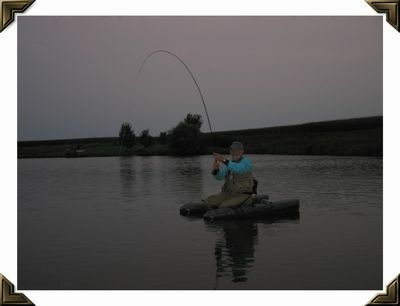 Fishing farm ponds at dusk when there is very little light is my favorite time to fish for bass. 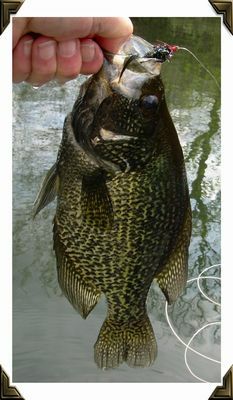 You will see in the photo that follows that a bass wasn't home but a 22-inch catfish was. 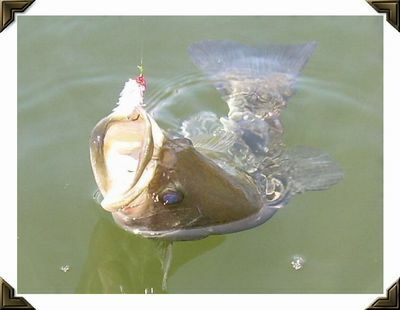 Most people think that catfish only feed on the bottom. 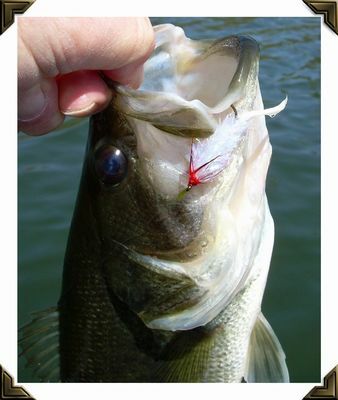 That's not true as evidenced by this photo. 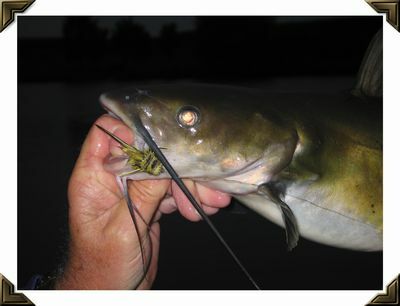 I was fishing the FenceRider Frog just before dark when this cat hit the fly like bass hit topwater bugs. 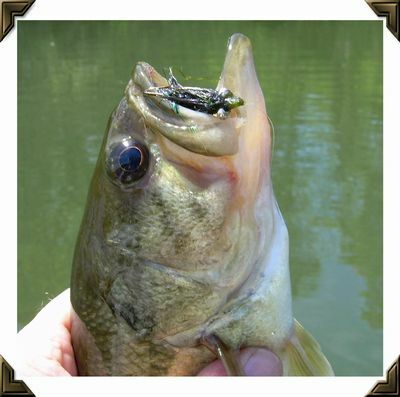 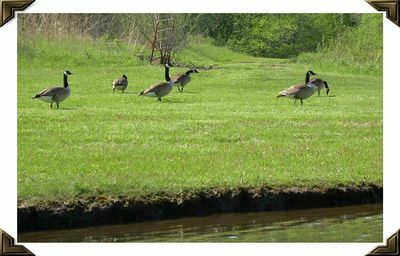 I was casting the bug onto the grassy pond bank and pulling it back into the water when he took the fly. 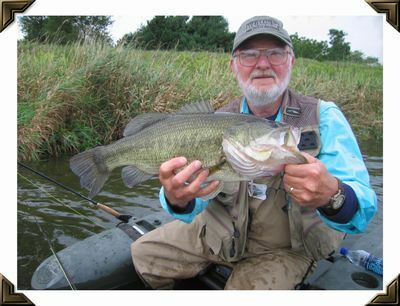 A very nice largemouth bass taken on a Lite-Brite Leech on a farm pond in Jones County Iowa.